Feel like travelling? 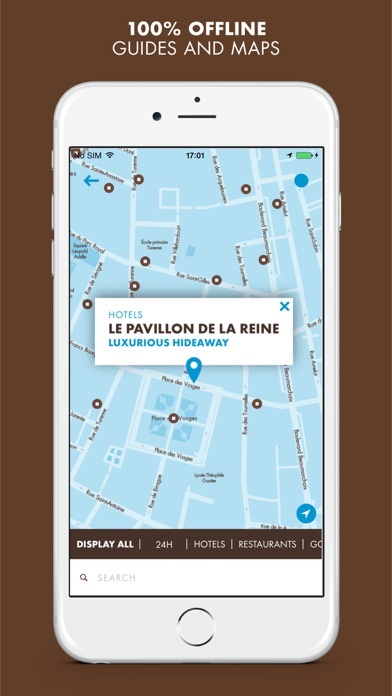 The new LOUIS VUITTON CITY GUIDE application covers 30 cities from all around the world with an unrivalled selection of 20,000 addresses. Since adventure might be around any corner, Louis Vuitton has mixed tried-and-tested favourites with new places and traditional sites with offbeat ones, as long as they express the soul of each city. The best of each metropolis is now within your reach: the most beautiful hotels, the finest chocolate shops, lively neighbourhood bistros, iconic luxury houses, design galleries, hidden museums and much more. From five-stars to offbeat concepts: where to stay in the city. From top tables to corner cafés: eating out in the city. From breakfast to drinks on a terrace: taking a break in the city. From jazz clubs to electro dance floors: going out in the city. From high fashion to emerging designers: shopping in the city. From quirky antiques shops to contemporary design galleries: the art of living in the city. From major museums to experimental theatres: exploring the city’s culture. Twelve selected experiences that capture the best of the city throughout the day, from breakfast at dawn to sunset. 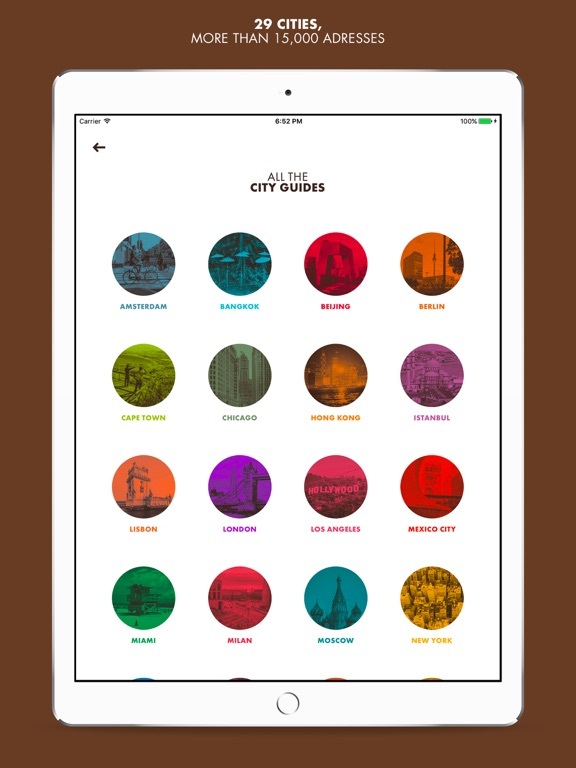 Each city guide has its guest. A celebrity or local figure offers his or her personal vision of the city, sharing travel memories and favourite addresses. Each guide includes several self-guided themed walking tours to take you away from its hectic pace and anonymous crowds. The history, architectural style and ambience of the city’s quarters and the people who inhabit them. Practical information on getting around, events, historical and must-see sights, and how to live like a local, along with suggested books to read, movies to see and songs to listen to before or after your trip. 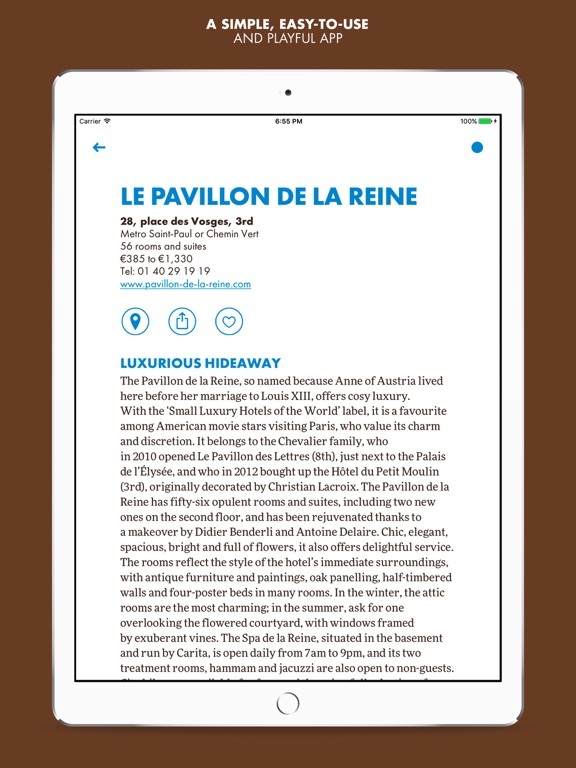 Louis Vuitton gives you a taste of travel with a selection of free content for each guide. 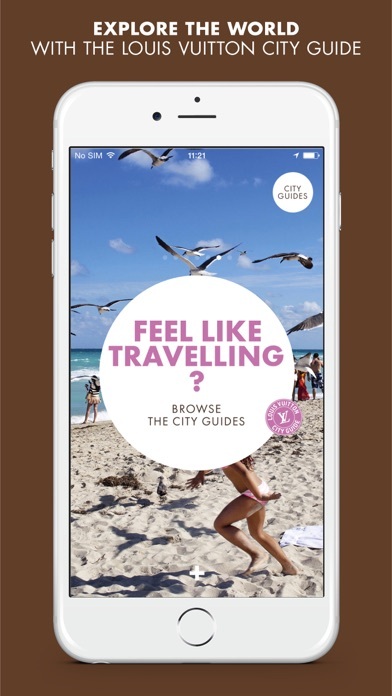 Through the kiosk, you can also purchase the full catalogue of 25 international city guides. 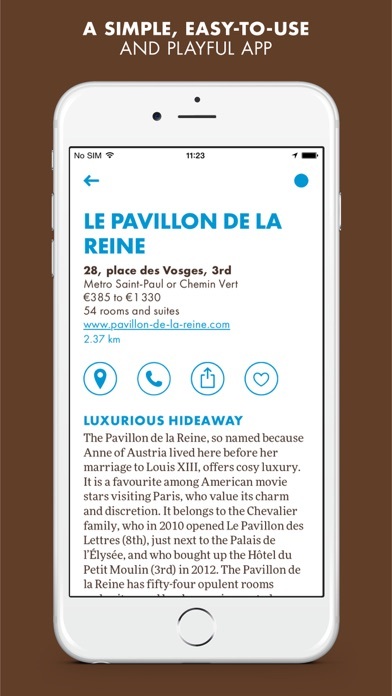 It’s a snap to find any address on these easy-to-read maps, available offline. 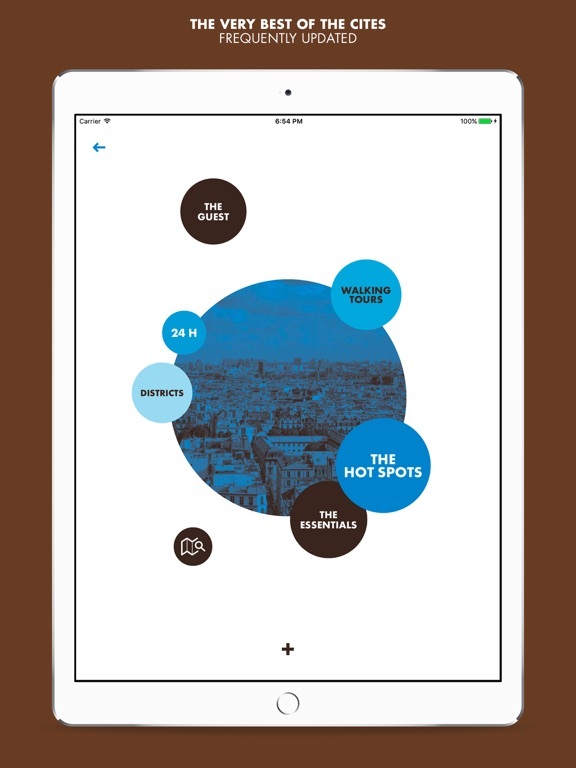 In location-aware mode, you can see all nearby businesses and points of interest, zoom in and refine your results by topic. With the search engine, you can switch to list mode. Each guide has nearly five hundred regularly updated addresses. 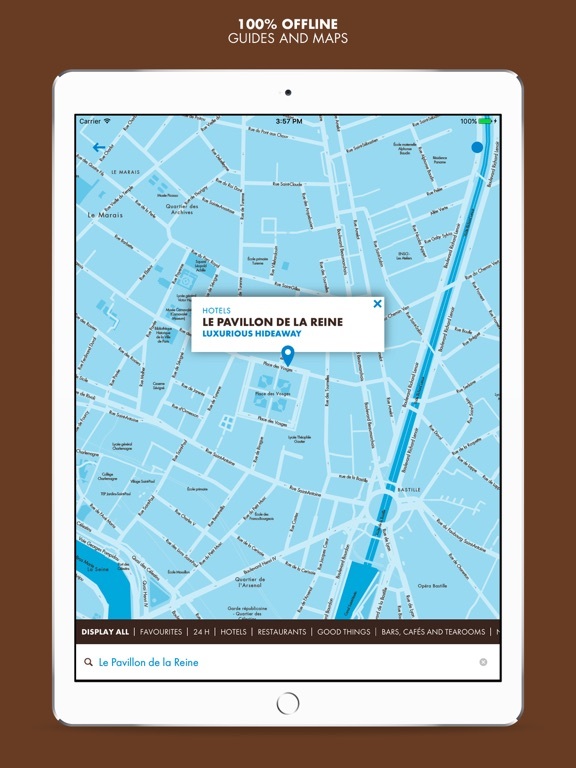 You can ring a site or go to its website with a single tap, and direct access to the map makes it easy to find each place. Share practical information with friends by email, text or the social media of your choice. Create and view your address book of favourites at any time. Send your loved ones a photo from your camera or from the guide’s gallery of pictures. 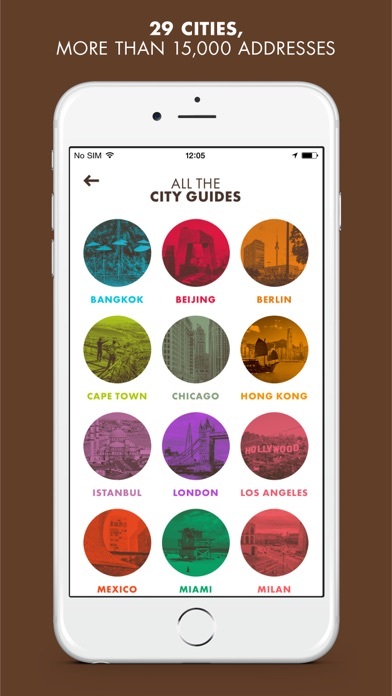 Personalise your postcard and share your travel memories by using the filter in the colour of each city. 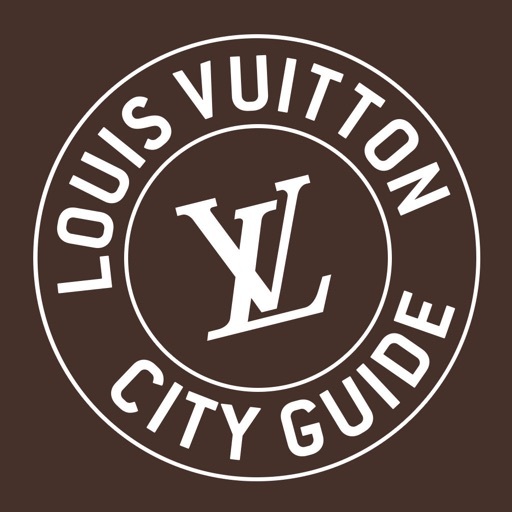 BON VOYAGE WITH THE LOUIS VUITTON CITY GUIDE!